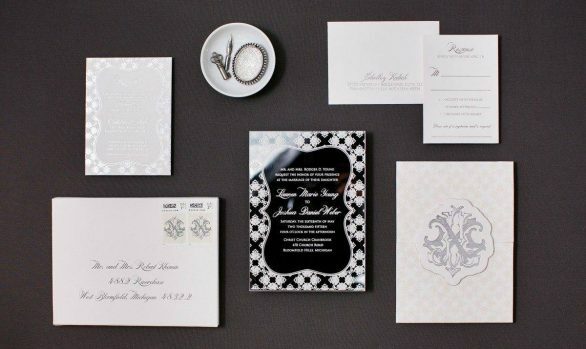 Details are abundant in these enchanted forest wedding invitations. An ivory velvet gatefold was designed with gold leaves and branches. The front was decorated with a custom made gold medallion and enameled with purple. We designed a monogram that was laser cut gold metal and attached to the medallion. 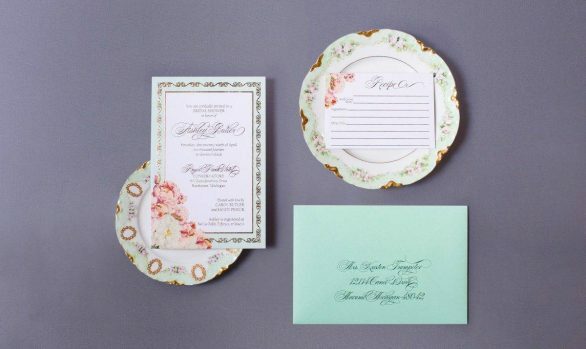 When the invitation was open, a watercolor invitation was printed with gold foil. 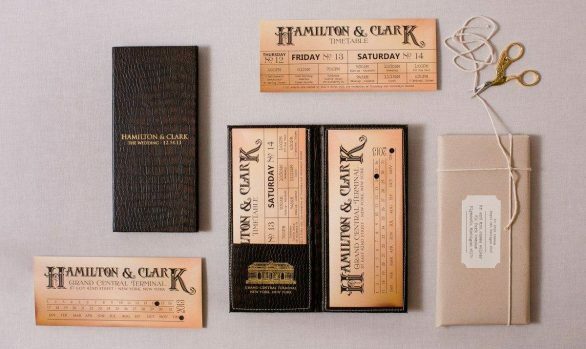 The inserts were designed with the same watercolor and held into die cut pockets. The pockets were printed with the gold foil branches. 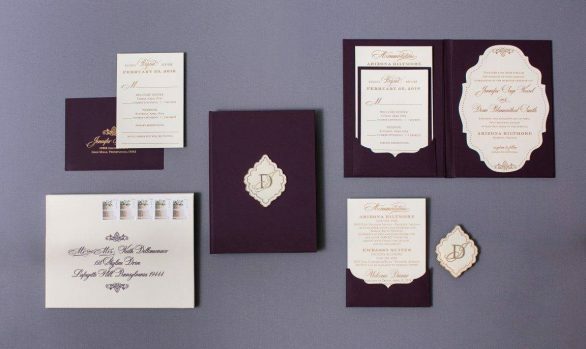 Purple suede feel boxes were constructed as mailers with gold foil branches and gold ink calligraphy addresses.